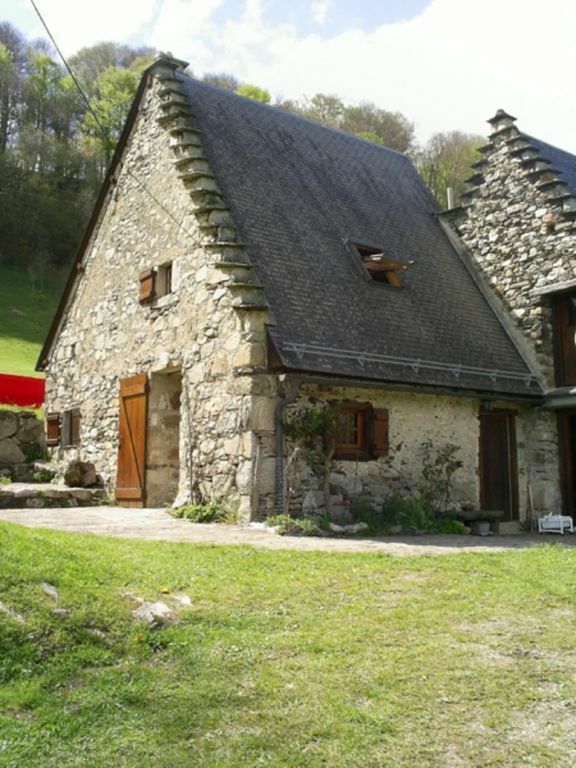 Located 100m from the road up to the Pic du Midi de Bigorre, La Bergerie is a typical ideal mountain house with a slate roof and stone walls to house 4-6 pers. in a quiet peaceful environment + splendid views over valleys and mountains. Ideal house to enjoy the tranquility and the beauty of the Pyrenees mountains. From the highway from Irun to Toulouse, exit after Tarbes Tournay, direction Bagneres de Bigorre; take the road to the Col du Tourmalet through Campan (7kms after Bagnères B) and go 5 km more to Sainte-Marie de Campan. In front of the church, put the car counter to 0: 510m after the road to the Col du Tourmalet, turn right onto the road up to our house. From our house breathes peace and beauty then: It is located 100 m from the road on the slope of the green valley de l'Adour, torrent born in neighboring summits. descuento de 20% la segunda semana para estancias de 15 días Gastos de electricidad y calefaccíon se pagan según consumo.